> What do you need? 3. Hamster hay pallets: personally I don’t like the mixed hamster food, because every time I bought some it was manifested with small beetles and my hamster didn’t enjoy the food at all. Instead of that, I now give my hamster hay pallets which are good for chewing but are also very healthy! 4. Sunflower seeds: this is also another main source of food for my hammy, this is her absolute favorite! All of the items above cost only around HK $300! And usually stock up on the food and bedding every 2 months. The store I got my hamster and all these items from is “I Love Rabbit” located in Causeway Bay. > What does she eat? Besides the hay pallets, sunflower seeds, and hamster treats, I also give her human food. 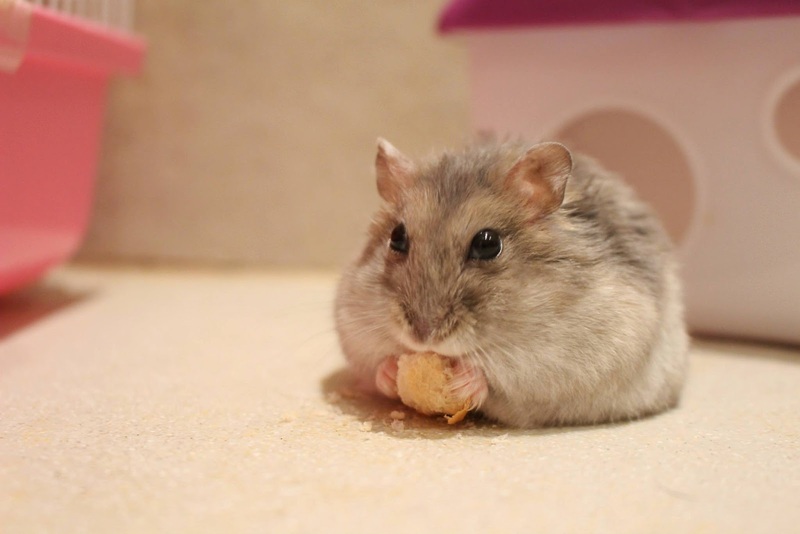 Since hamsters are Omnivores (they eat both vegetables and meat), human food is generally fine, as long as it isn’t heavily processed. I generally give her carrots, cabbage, steamed rice, baked potatoes, and even some oven baked chicken! Not really! She usually smells like her wood shed beddings or hay pellets. 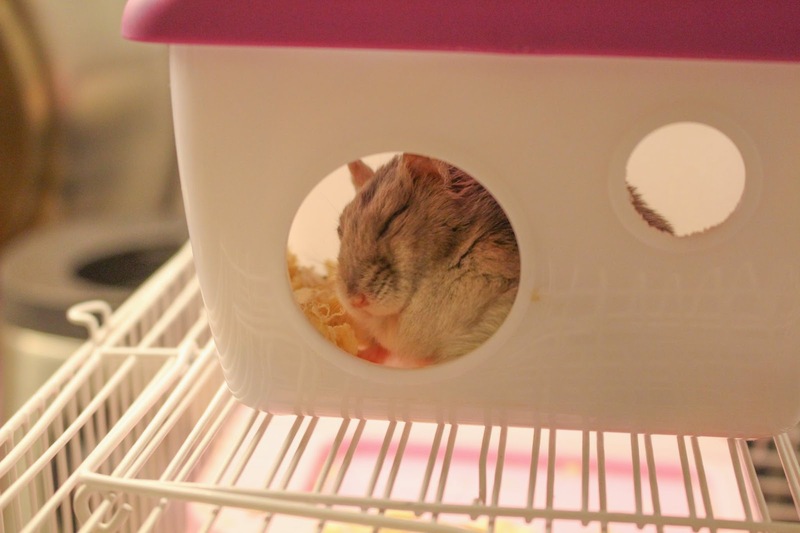 The only time she smells is when she stays in her hamster ball for too long and poops too much. But you’ll only smell it if you hold her up to your nose. All she needs is a sand bath and she’s good to go! When I first got her she did, but it was only out of self-defense if you scared her. She’s only bitten me once and it was because I was trying to refill her food, and I made the mistake of grabbing it while she had her back facing me so she was very startled. It did draw blood on my fingertip but it wasn’t that painful. After that I played with her everyday so she gets used to my smell. And now even if I hold my finger in front of her, or I put food on my palm, she will never bit me, not even nibble! 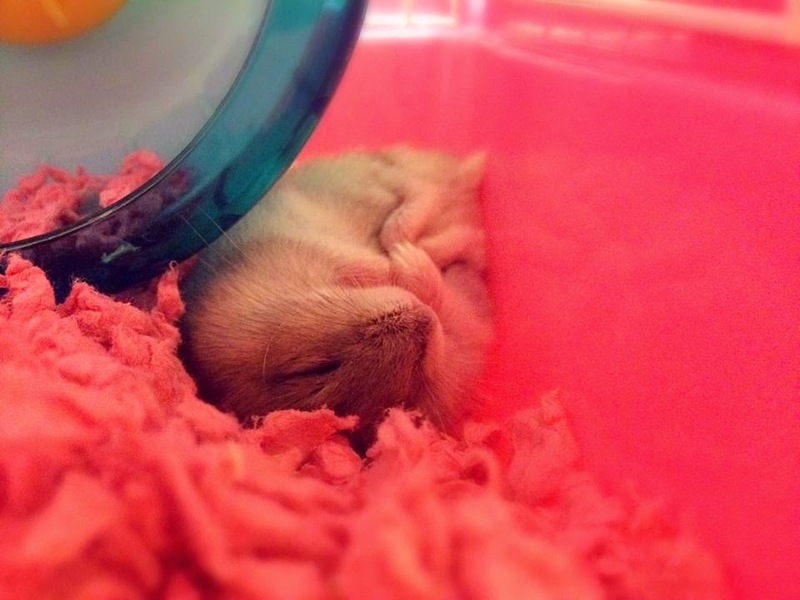 Hamsters don’t make very loud noises, and are definitely less vocal than Guinea Pigs. My hamster only squeals when I tickle her. But having mentioned that, she is noisy when she chews the cage bars or when she’s digging around in her cage or hamster call. It’s not enough for the neighbors to hear, but it’s just enough that will get you annoyed if you’re trying to concentrate. I’ll either distract her with food, or I’ll put her in our shower room where she can run freely and I won’t hear her through the bathroom doors. > What does she do all day? Eat, Sleep, and Play. 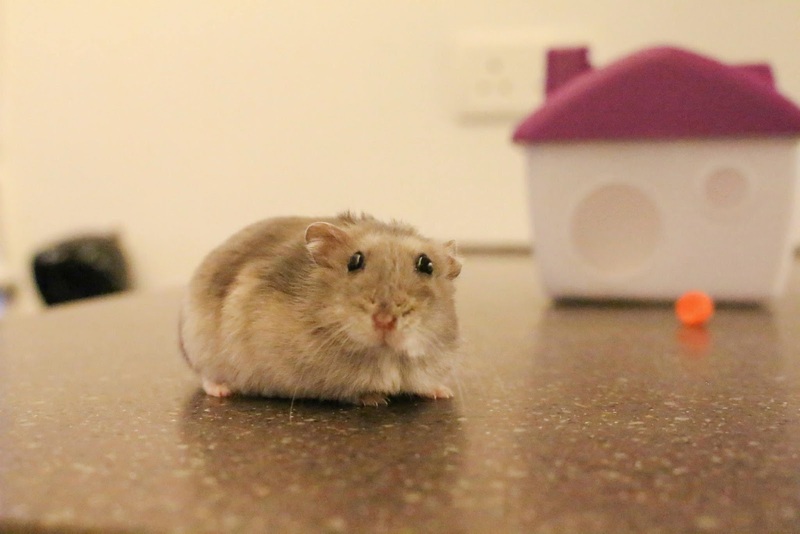 My hamster doesn’t eat a lot, she actually eats a very moderate amount so she’s not chubby. But she does sleep for the most part. She at a point where she’s so comfortable with the environment that she can sleep through me swearing at Mario Kart. I’ve also seen her yawn plenty of times when I wake her up accidentally, and it’s the most adorable thing on earth! When it comes to playing, she does a variety of things, like running on her hamster wheel, digging a tunnel under her 1.5 inch thick bedding, running around her hamster ball, rolling around her sand box, and last but not least being a “Spider Nom”. (Her name is Nom Nom, and Spider comes from Spiderman) She likes to climb up the side of her cage and then monkey-baring across the ceiling, then sliding on her back into her house on the second floor. This scene is captured and included in the YouTube vide linked below if you’re curious. > What if I have to travel for extended periods of time? 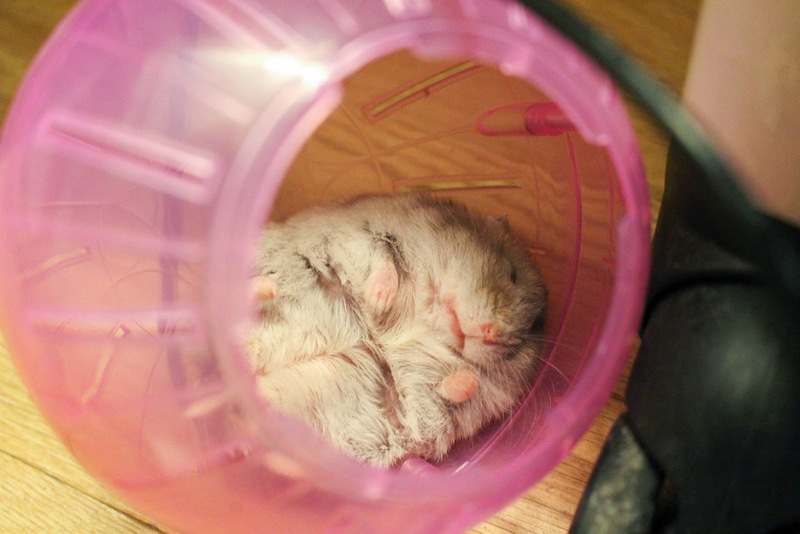 Hamsters are really low maintenance, and can survive on little amounts of food, water, and attention. 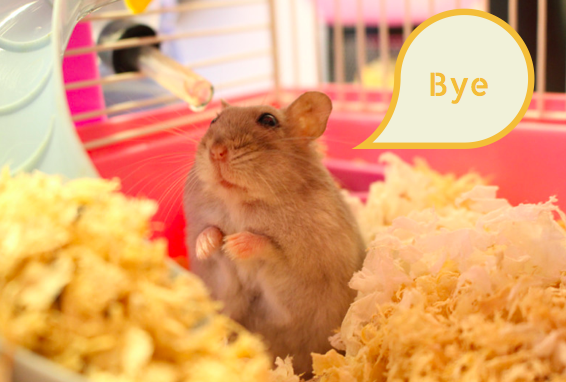 This summer I was in Japan for around 10 days, and I was very worried that my hamster would run out of food, water, or die from overheating. But it turns out that she didn’t even finish her food, and was just as energetic when I came back from my trip. 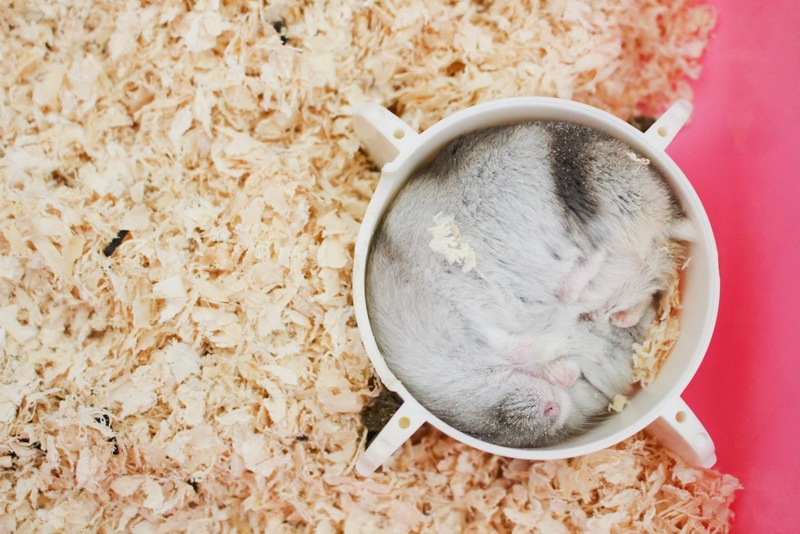 One thing to keep in mind though, hamsters don’t cope well with the cold. 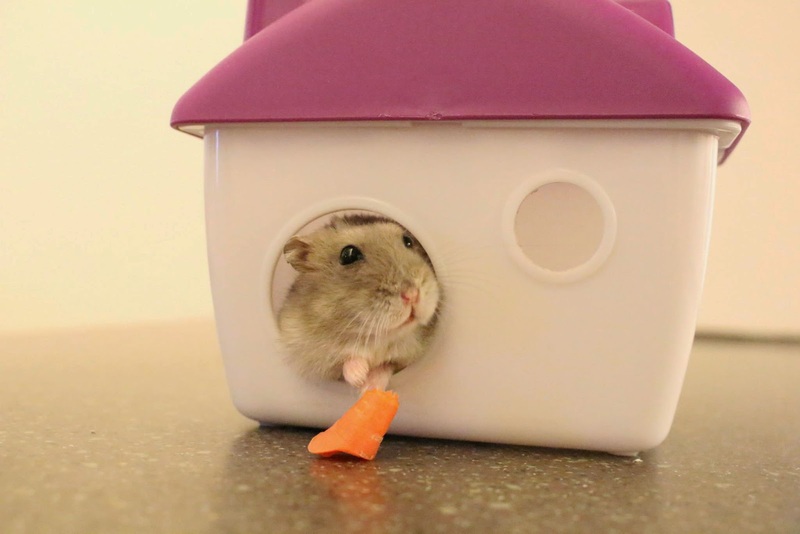 If you don’t have a heater for winter, it’s best to give your hamster some cotton balls or a sock to keep them warm because they can actually die from being too cold. 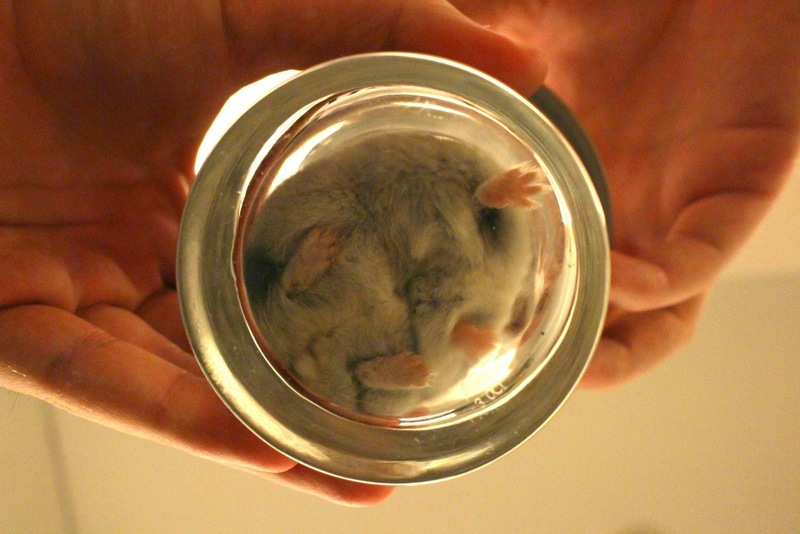 There was a time where the cage door was left opened overnight and my hamster escaped! She actually jumped off a very tall shelf (120 cm tall), and probably landed on something oft like a shoe, and then went to hide under the fridge. There’s also been an instance where she jumped off the kitchen counter and landed on the rug below. But hamsters are tougher than they seem! I hope from sharing my experience, it either entertained you, or helped you understand Hamsters better! Leave a comment below if you want to know more!